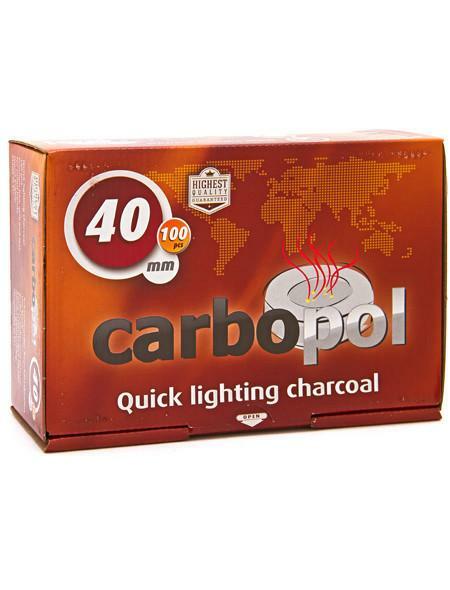 Carbopol 40mm Charcoal are manufactured in Poland and provide a clean burning, taste-free quick light hookah charcoal option for hookah smokers. These are 40mm size coals which should be used with medium to large sized hookah bowls. To light your new Carbopol coals, simply grasp one coal with your tongs and hold a lit lighter or match to one corner of the coal. You should see some light sparks and begin to smell the coal as it becomes lit. 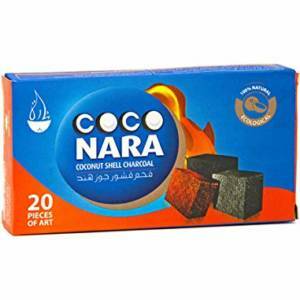 Odorless – there is no smell when burning, because it is made of natural raw materials. Light fast – it lights up in about 15 seconds. 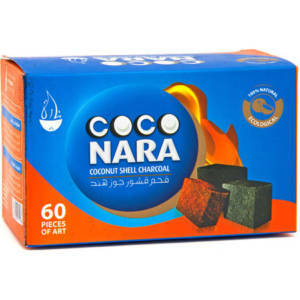 Smoke without chemicals – charcoal is 100% nitre-free. 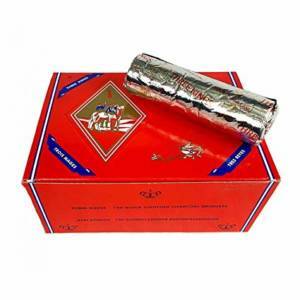 Each box contains 10 rolls with 10 coals in each roll. Each Carbopol coal lasts approximately from 45 minutes to 1 hour.